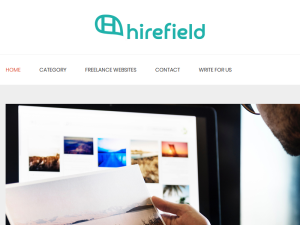 HireField is an Australian blog for local freelancers, tradies, professionals and businesses. It covers most of the industries from gardening, graphic design to home renovations. This what your HireField Blog Blog Ad will look like to visitors! Of course you will want to use keywords and ad targeting to get the most out of your ad campaign! So purchase an ad space today before there all gone! People create their first impression at the moment they look around your office. Once this impression is made it’s hard to be changed. If your business requires customers or business clients to come to your office you need to make sure that they feel comfortable in it the minute they step through the doors. The look of your office can be one of the most important factors that will prevent customers from coming back and deciding to go somewhere else. The best way to plan your space is to enter your office and think like a customer. Can you find your way around easily? Is the reception area friendly? Does the office have good lighting? Is there a business representative to welcome you to the office? Is the environment too loud? Ask yourself these questions to ensure your customer journey is satisfactory. First, make sure that the door of your office is presentable and branded with your company name and logo to make sure potential customers can easily find you. Keep the reception area as clutter-free as possible. Don’t overwhelm it with brochures and business cards. Place a coat hanger in a visible location, you can put some extra umbrellas in case of rain. We all dread the wasted time in waiting areas sitting on uncomfortable chairs. If your business requires customers to wait, investing in quality chairs or sofas is the best solutions to avoid stressed clients. You can put pots with flowers and wall decor. You can put outlets so people can charge their phones and some kind of entertainment such as magazines and TV. If you work with business clients, you need to create a conference room to host your meetings. Doing them in the waiting room or on a desk is not professional. Create a minimal conference room with comfortable chairs and a screen or whiteboard on the wall if you need. Display your company logo and values in the room. You can add pens and branded notebooks that your clients can use during the meetings. Add a water dispenser and some treats to make them feel welcomed. You don’t want your customers to walk into a dark space, make sure that the area is bright and welcoming. Use natural light wherever possible. Make sure that you have a lot of windows and don’t shut the blinds if it’s not necessarily. Avoid yellow lighting and use LED lights. You can use lighting to draw attention to a focal point in your office such as the best-designed area, the comfortable waiting area or a feature that represents the values of your company. It’s proven that even a small engagement with nature can change your mood. If you have space, add some live plants in your space. You can put pots with bushes in the waiting area and smaller pots on tables and shelving. The green plant will not only make your office feel welcoming, but it will also clean the air. Plants produce oxygen and freshen up the air in your office. Not to mention that flowers will also boost the productivity of your employees. It’s scientifically proven that colour can affect us emotionally and physically. Choose the colours of the furniture and the decor carefully. Have your branding colours in mind. Red and orange can make the room feel cluttered and stressful. Soft green and blue are balancing colours and can make your clients feel welcomed. Soft yellow will create a positive environment. The best way to combine colours is to paint your walls in neutral hues and incorporate colourful decor and furniture. Be mindful about how many colours you’re using because too many hues will distract. Music will also have a positive effect on the impression of your customers. However, loud music is not recommended. Instead bet on a soft, delicate noise. Having music in the waiting area will make the stay of your customers more enjoyable. If customers spent a lot of time in your office it’s important to provide a bathroom for them. Needless to say that the bathroom should be clean and shiny to avoid complaints and bad experience. Place the sign for the bathroom visible as most of the customers are not comfortable asking about it if they need to use it. The look of your bathroom will have a huge impact on whether your clients will want to return to your office. These are just basic changes you can do to improve the first impression of your office. Next time you walk in the office, pay attention to the things that make you feel good and welcomed. What was the thing that had a negative effect on your experience? Take these impressions and incorporate them into your business. What is the first thing you’re going to improve in your office? My name is Eva Bowker and I’m home improvement coordinator at Fantastic Handyman Australia. My passion is to help people build the home of their dreams by sharing home renovation and interior design tips with them. I love to think out of the box in order to create lovely spaces. The post How to Improve the First Impression of Your Office appeared first on Blog | HireField. Is there a need for more mentoring in the cleaning industry? This is a question business experts in this field have been asking for years. Cleaning may seem like a dull activity that you wouldn’t look twice at, but in reality, it’s a business with hundreds of thousands of dollars in revenue annually. Which means that people need it, search for it and benefit from it regularly. So, why is coaching and mentoring the workforce in this field not more popular? Isn’t this a field which goes through constant changes and there’s always need for improvement? As John C. Maxwell said, “One of the greatest values of mentors is the ability to see ahead what others cannot see and to help them navigate a course to their destination.”. So why is coaching in the cleaning sector such a rare topic? Adequate training and mentoring are always essential when training employees in all industries. It’s a process that takes its sweet time but prepares capable and competent individuals for the workplace challenges. Working for a cleaning company, I can confidently say, adequate training and mentoring is crucial within the cleaning industry. Like most unpleasant and “dirty” jobs, cleaning other people’s homes and messes isn’t everyone’s piece of cake and has its own specifics. Cleaning is a dirty industry. It’s one of those things you do that makes everything else look great, but not you. It’s no secret that there’s a stigma attached to the job of a cleaner and society doesn’t appreciate enough the people who do their dirty work for them. It is this stigma that prevents people from appreciating the work they do and their role in society. This naturally increases the demand for support the people in this industry need. The rate with which employees on such jobs burn-out is mind blowing. And while in most cases an increase in the salary and a shift in the duties is enough to motivate a staff member, cleaners who have no prospects of getting any of these are doomed. What Can Companies Do To Support Their Staff? If you think it’s just the cleaners, you are wrong. There are so many jobs out there that are considered “dirty”, “unpleasant” and “ungrateful”. When your employees do the nasty stuff no one else does, like cleaning, or burying people, they are on the receiving end of a lot of grief, ingratitude, hostility and other unpleasant emotions. If you have employees who suffer any of the above mentioned, consider some of the following activities. Increase in salary can lift their spirits up, but sometimes isn’t enough to help them solve the issues they face. This is where you need to come up with other incentives, such as coupons or discounts. Mentoring Sessions – Occasionally, organise mentoring sessions and trainings that will help empower your employees and motivate them on their job. Mentoring sessions could vary from the beginning of the training through to the different stages your employee is growing into. In the beginning make your employees feel competent enough to carry a job by themselves, later boost their confidence and make them feel appreciated. Team buildings – Every once or twice a year, organise a team building with games that stimulate conversation and closeness between team members of your company. I have noticed it’s important for teams in the cleaning business to work like well-oiled machines. Most compliments we have received on jobs well done emphasized on the great team-work displayed by our teams. You don’t want your employees to arrive at an address grumpy about the fact they have to work with a particular partner. This way, they won’t perform as well, the client will notice something’s not quite right, and you won’t be happy with the result either. Get-togethers – These can be as formal, or informal as you want them to be. I personally, love it when we get-together after work over a beer or two and everyone is encouraged to share his/her experiences in the past week. We share hilarious stories and some nasty details of the jobs, some successes and some failures. What’s important here, is everyone gets the chance to unload and unburden. In the same time, we as a group acknowledge we are not alone in it and if I had a bad day at work, a colleague of mine had a bad day yesterday, but managed to get through it. It’s important to acknowledge you are not alone. If you have it tough this week, someone else has been through this before. We laugh it off, share experiences and good practices and forget about the unpleasantness. A company culture that promotes these practices will manage to keep its employees motivated and happy for longer. It’s obvious that most of your employees won’t retire while working for you, but you can always come up with things that will help make their days more productive and less-stressful as well as make their time with you worthwhile. Author bio: Jane Wilson is a cleaning business coach and a marketing manager for Fantastic Cleaners Melbourne, a company which provides a full portfolio of services for homes and offices. Her passions include organising, recycling, problem solving and providing people with better living conditions. The post The Need for Coaching and Mentoring in The Cleaning Sector appeared first on Blog | HireField. Crowdsourcing content works on the theory that work produced by interested individuals will create an involved and engaged community of users. This ready-made market will help to disseminate the content deeper than could be achieved with a traditional content approach, using a diverse audience that trusts the opinion of key influencers in their circle of friends and followers. This technique provides powerful engagement, and positions your business as an authority at the centre of the community. The content created by this community is seen as more credible than purely business created work, as consumers are more likely to trust their peers than a company selling a product. Just as a personal recommendation is a powerful tool for people looking for a mechanic or a plumber, or buying a television, when choosing what content to read and engage with, the same principle applies. While no one can possibly know your brand as well as you and your employees, every industry is the sum of its users and creators combined. Often, when it comes to the wider industry trends and details, customers will have a more objective and wider view of the complete picture. Crowdsourcing your content is inexpensive as it is rarely paid work. Instead, it is given for the promise of exposure, credit and sometimes a backlink. None of this costs a cent to the company, however the expense comes in the time spent moderating and proofreading the submissions. This is still often cheaper than the cost of a full-time writing department, but it does depend on finding the right people, which can be the hardest part. There are never enough hours in the day when you’re a business owner. Creating content is time consuming and small businesses don’t have the luxury of a large workforce to devote to writing and disseminating content, and even larger companies can find themselves stretched by the requirements of content creation. By removing the responsibility of creation and simply having to moderate the submissions, it frees you up to focus on the more pressing day-to-day aspects of running your business. Crowdsourcing is a valuable way to find different opinions from different backgrounds and socio-economic levels. The research required to find the depth of content that crowdsourcing can provide may be prohibitively expensive and slow for an in-house department or writer to produce. This breadth of information will further add to the perception of your business as an authority. In turn, this will also give your site more relevancy and SEO power, potentially improving your rankings, revenue and traffic. It is hard to predict the quality that crowdsourcing will turn up and the process of reading each submission can be time-consuming. Eventually you will develop a list of reliable, high-quality contributors, but these are often the ones that are in demand and looking for a way in to start their own freelance business or find full time work. This means you will constantly be looking for new people to ensure you have a deep pool of talent available. The crowdsourcing approach can also lead to missing the best talent. Generally the bloggers who will give their work for exposure aren’t the cream and are looking for a way into the industry. The best creators will expect to be paid freelance rates to write and produce content. The voice of a brand can be a difficult thing to capture for writers that aren’t exposed to it on a daily basis. Crowdsourcing will give you many different perspectives, but it will also turn up a lot of submissions that miss the point entirely. Again, the key is to build a collection of trusted contributors who understand the tone and style you require. Plagiarism is a hard thing to prove and while most writers and content creators won’t try to pass off the work of others as their own, a few will. Whether deliberate or not, this can lead to legal problems as well as SEO related issues with duplicate content. There are a number of tools that can help determine whether a piece of content is unique or not, however this is an extra step that further increases the investment of time and people into the moderation of the submissions. Social media is a great tool for both promoting and soliciting content. Facebook and Twitter boast enormous networks, with a rich seam of engaged and vocal users. Once your content is in the world, these followers can be mined for feedback and fine tuning, which will eventually develop a self-regulating and self-sustaining content department without paying for one. Guest blogging and blog hosting can create a mutually beneficial arrangement that sees your site build a strong content profile, while giving writers a platform to reach a wide audience. This mutually beneficial arrangement is the heart of platforms like Medium, LinkedIn Pulse, and Svbtle. There is no single technique in marketing that will meet all the needs of your business. While crowdsourced content can help bolster your content efforts, it is still important to develop high-quality content from within your ranks. Even the best content from outside sources can’t compare in terms of insight and adherence to your brand voice and style. David Pagotto is the Founder and Managing Director of SIXGUN. He has been involved in digital marketing for over 10 years, helping organisations get more customers, more reach, and more impact. SIXGUN focuses on scaling organisational growth and building sustainable results for the long-term, with a data-driven approach to developing strategy. As a Melbourne based digital marketing agency, SIXGUN focuses on Search Engine Optimisation, Search Engine Marketing, and Social Media Marketing. David is passionate about seeing organisations grow while working on his mission to support meaningful causes. The post The Advantages and Disadvantages of Crowdsourced Content appeared first on Blog | HireField. Business is business and that is what every Gym Owner and fitness professional needs to remember. The dream of “turning your passion into a profession to never work a day” is good in theory, but this requires a solid business plan to ensure the dream remains viable. Countless gyms and Personal Training studios have failed as a result of being run by fitness professionals who have sound knowledge and passion for the fitness industry, but without any business knowledge to apply these skills in a profitable way. The result of this misguided passion has led to an overwhelming demographic of “failed fitness professionals” which has established fitness careers as “high risk” of unemployment. Predictably, the domino effect has meant that there has been a significant and steady decrease of students enrolling in fitness courses across Australia. The high numbers of qualified fitness professionals “failing” at business within the first and second year of operation has been largely attributed to a lack of business sense. This loss has forced change in all areas of the industry starting with the course providers. Between 2015-2016 the Australian Department of Education restructured the national requirements for the Diploma of Fitness. Prior to this, the course was heavily science based with the majority of the qualification focused on extensive knowledge of human anatomy. While the importance of the science has remained, the core focus of the diploma of fitness in Australia is now heavily business based to equip business owners and fitness professionals with the tools they require to establish a successful, financially viable business. I hear personal Trainers and Gym owners all the time saying “yeah, this business is costing me an arm and a leg but it’s only my second year so if I can just hold out for one more year it’ll be making a profit.” Or “You have to spend money to make money.” This approach is misguided and takes the business mentality completely out of context. The truth of the matter is that the first few years of establishing a business should cost money because if you are smart about building an empire you should be “investing” or “reinvesting” whatever money is coming in to continue to grow the business. If you as a business owner or fitness professional have got caught up in the excitement of chasing “maximum reach” and “cold lead generation” ask yourself how you have converted this marketing strategy into an effective sales tool which has measurable profit margins to gauge the effectiveness of this campaign? If you cannot answer this question honestly it is likely you are simply throwing money into sponsored adds to gain exposure without any profitability forecasted or ensured. This is not smart business, this is ego driven experimentation that could have a detrimental impact on your brand and the success of your business. All of this takes time and knowledge to ensure your business is credible and professional across the board. You are not expected to do everything on your own. Investing in a business professional to work with you on your vision is highly recommended. As with every facet of the fitness industry: the greatest investment you can make is yourself! Upskilling in courses to expand your knowledge and expertise is highly recommended as is playing to strengths. I have been in the fitness industry for close to 20 years, I have been a personal Trainer for several years and have operated my own business and XL Personal Training brand for over 3 years. I attribute my success to my passion, innovation and my professionalism. When I tracked the industry trend and predicted the national fitness course overhaul, I completed my advanced diploma of business with the Australian Careers College to use that qualification as Recognition of Prior Learning so that I could focus solely on the anatomy and training styles in the fitness diploma. This proved to be a very time and cost effective approach as it allowed me to perfect my business model with business industry experts who I had access to as mentors and free business advisors. I am now one of only a handful of business owners in the fitness industry worldwide who have partnered with reputable, internationally recognised and respected brands to offer a complete service to my clients and competitors. In addition to specialising in niche fields for my personal training clients across all platforms, I am also a business advisor who operates a “white label” business model mentorship. For enquiries related to how I can help you set yourself and your business up for success, please contact me on Taz@xlpt.com.au for a confidential consultation. White label business models star t from as little as $500 AUS. If you want to maximise your profits in minimal time, invest in a business professional who can build your empire on a solid business model, make the call. The post Advice on How to Start a Gym or Fitness Business appeared first on Blog | HireField. Have you considered professional development or training for your staff? If so, online training has many benefits, including variety; flexible delivery; unlimited access and support; credibility; exceptional value; all-inclusive fees; student satisfaction; easy access; personalised training; and a comfortable and convenient learning environment. Online courses are delivered via an innovative eLearning platform that enables students to work outside of business hours, so a business doesn’t incur disruption to operation. This is also of value to staff as they can complete the course at their own pace and when it is convenient for them. There are no time frames and no due dates when a business enrols its employees in an online course with Australian Online Courses. Plus, access to tutor support is available seven days a week. Students study at their own pace with no limitations on when or how often they access course materials online. Australian Online Courses has been delivering quality education to businesses since 2008. When you choose Australian Online Courses for professional development and training, you can rest assured that all courses are current and relevant to your industry. As a business-to-business service, Australian Online Courses operate to provide the best value to business customers. Payment plans start from as little as $25 a week, or there are significant discounts for upfront payment. In addition, businesses save on travel and accommodation costs when choosing online courses; employees will not need to attend a physical learning environment. There are no hidden fees when you enrol employees in an online, professional development program with Australian Online Courses. Printed materials are not necessary for the completion of courses as all learning materials are online. Student services, unlimited tutor support, all learning materials and assessment are all-inclusive, so you can be confident that the upfront fee is the total cost. Australian Online Courses has an excellent reputation with current and past students. Through the collection of student satisfaction surveys, it is evident that the delivery and support students receive via the innovative eLearning platform is excellent. “Hi to all my tutors! I just want to thank you for all your assistance with my course. I have loved it and am hoping to do another course in future. Thank you, again! “I just finished the Certificate of Medical Reception and Office Administration. I really enjoyed it! I now have the confidence to apply for jobs after being out of the workforce. Thanks, Liz for all your support.” – F. Haydon, QLD. We understand that business customers are time-poor and training staff shouldn’t take away from business operations. As such, a dedicated Learning Support Team give clear instructions on how to access all course materials, so you don’t need to be involved in the online learning process – it’s all taken care of. A business-centric focus means Australian Online Courses can tailor online course materials to meet the learning needs of a business’s employees. This is an essential aspect of choosing an education provider, as course materials and support requirements need to be as individual as the business it serves to achieve the best possible learning outcome. Online courses are also the preferred delivery to ensure all personality-types are comfortable in the learning environment. It doesn’t matter whether an employee identifies as extroverted or introverted, the eLearning platform delivers. Plus, there’s no dress code for online courses, so if employees are most comfortable learning at home in their pajamas, that’s fine too. We’re passionate about education at Australian Online Courses and pride ourselves on delivering quality training that’s highly employer-centric. We do this by offering a strong and engaged support network of dedicated tutors and learning support staff who directly support the right learning outcomes. When you choose our online courses to invest in the professional development and on-going training of staff, you can rest assured that we equip your employees with the knowledge and skills to enhance your business’s productivity and future success. Contact one of our friendly Learning Consultants today to create a plan for your business’s professional development and training via our innovate industry-approved eLearning platform. You’ll be glad you did, and so will your staff! The post 10 Benefits of Online Courses for Employee Training appeared first on Blog | HireField. Starting my first business was overwhelming. Like many women out there, I was plagued with imposter syndrome and the fear of how on earth I was ever going to run a company, let alone one that would even make a profit. As we see more and more women start to rise up into senior positions and embark on the creation of their own businesses, it’s more important than ever to find a way to get the support and encouragement needed to stay on an upward trajectory to success. Especially if you’re the one sitting at the top – but it’s important to know that you don’t have to face things alone. There are a number of ways to connect with like-minded women who really understand what you may be going through, and women who can give you that ‘high-five’ you deserve when your career or business is going gangbusters. That bit of recognition goes a long way to keeping you going on the darkest of days when things aren’t going to plan. Finding your tribe of people can seem like a daunting task, especially if you are an introvert by nature and the thought of meeting new people makes you want to retreat back to your office and hide under the desk! But if I had known there were so many resources available at the start of my journey, those first few years would have been a lot easier. The first time I was invited to a networking event I felt myself immediately shy away at the thought of standing in the middle of a room talking to a gr oup of strangers. Why on earth would they be interested in anything I had to say? Thanks to a good friend dragging me along, I spent an hour meeting incredible women from a range of different industries and left feeling exhilarated with a handful of new connections, and women I would go on to call friends. Networking isn’t for everyone, but pushing myself out of my comfort zone was the catalyst that led to the improvement of my confidence, and taking on more challenges with less fear and doubt in my mind. Do your research and find a program that resonates with you and what you are hoping to achieve. Having a confidential platform to share experiences and business updates gives you the opportunity to talk to people outside of your circle; people who may have been through the same struggles previously that can help, or simply understand on a deep level what you are going through. After being in business for four ye ars with my partner, we had a rhythm and way of thinking that was confined to the areas of experience we had acquired over the years. Opening up the circle to include seven new people with seven different backgrounds was a game changer. Hearing of stories where others had tried and failed, or tried and succeeded, gave us new ideas to experiment in our own business and keep the business fresh. When we think of social or professional media sites, most would associate these with individual profile sharing, status updates, photographs, news and the like. However, it can be a valuable resource for connecting with other women in groups specifically talking about topics relevant to whatever area of business or life you are interested in. Some groups have in excess of 60,000 women all posting questions or information about a variety of topics that you can participate in and share perspectives on. Some even have regular meet ups too, offering ano ther platform to go out and meet others in your local town or city. On any given week, there is generally a conference or event running somewhere in your nearest city, tackling a range of business topics relevant to you and your career. They offer you an opportunity to connect with colleagues in your industry, and a way to develop new professional relationships to assist you in the progression of your career or business. When you meet someone that you admire and look up to, someone who has wisdom and advice that you know could really help you on your journey, go ahead and ask them if they would mind catching up with you for a coffee every once in a while. The worst they can say is no. Over the years I have been lucky enough to meet some wonderful women who have had incredible careers in a variety of industries and their generosity in sharing their learnings has been invaluable. Next time you m eet someone that ticks this box for you, work hard on establishing a relationship and you’ll be surprised what a difference it will make to your life. Don’t delay! Pick one or all of these ideas and add them to your to-do list today. We get so busy in our working lives that at times, we forget to put ourselves first. Remember, ‘nothing ventured, nothing gained’! Laura Hall empowers small business leaders and startup entrepreneurs to lay the solid foundations for their business to grow. The passionate sales leader and entrepreneur co-founded MediaSeed, a media advertising sales agency representing advertising channels right across Australia, and was instrumental in taking the business from start-up to brand acquisition in 2017. She now runs her own sales consultancy, Laura Hall, with a focus on helping female business owners to master their sales strategy by systemising processes, creating meaningful customer relationships and driving revenue. Working with women and those beginning their journey in the startup community, Laura is able to share her experiences and help map out a strategy to move their businesses forward with clarity and confidence. Having a blueprint for success is something she is passionate about delivering to others to ensure the bumps in the road are as small and infrequent as possible! The post Finding your tribe: never be lonely in business again appeared first on Blog | HireField. If you are the owner of HireField Blog, or someone who enjoys this blog why not upgrade it to a Featured Listing or Permanent Listing?